POSTED September 7, 2018 11:16 a.m.
ATLANTA — Atlanta Dream first-year head coach Nicki Collen, who guided the team to the No. 2 seed in the 2018 WNBA Playoffs, was named the WNBA Coach of the Year early last week. Collen, formerly Nicki Taggert, is a 1993 graduate of Platteville High School. In Collen’s first season as a head coach at any level, the Dream won 15 of its final 17 games to finish with a 23–11 record — an 11-game improvement over last season’s 12–22 mark. The 23 victories are the most in franchise history, surpassing the previous mark of 20 set in 2011 (20–14). The season-ending 15–2 surge featured a team-record eight-game winning streak. Collen’s Dream ended the season Tuesday night with a Game 5 loss to the Washington Mystics in the decisive game of the Eastern Conference Finals. Collen was an assistant coach with the Connecticut Sun for two season prior to being named the head coach in Atlanta. 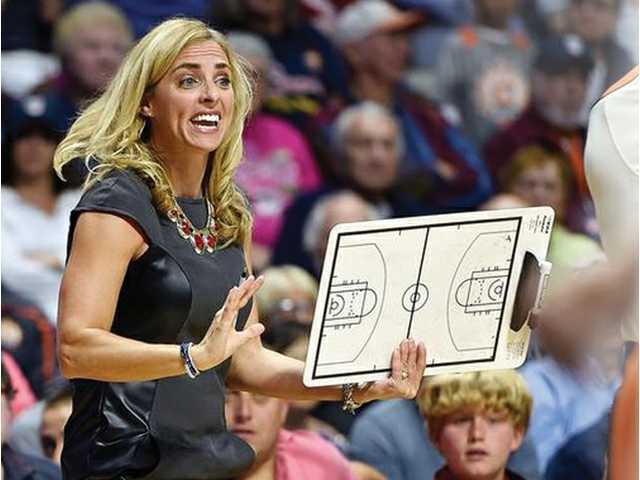 Prior to her stint in Connecticut, Collen was an college assistant coach at Florida Gulf Coast, Arkansas, Louisville, Ball State and Colorado State. Collen was a four-year all-conference point guard and three-time all-area pick for the Platteville Hillmen. She amassed 1,381 career points and averaged 17 points, 10 assist and five steals per game as a senior to earn co-SWAL I Most Valuable Player honors. She was named second-team all-state as a junior and senior, and was also an academic all-state honoree and a 4.0 student. Collen earned a scholarship to Purdue University, but transferred after her sophomore season and finished her career at Marquette University in Milwaukee.